In the first segment of Beneath the Surface we toured a portion of this amazing basement. 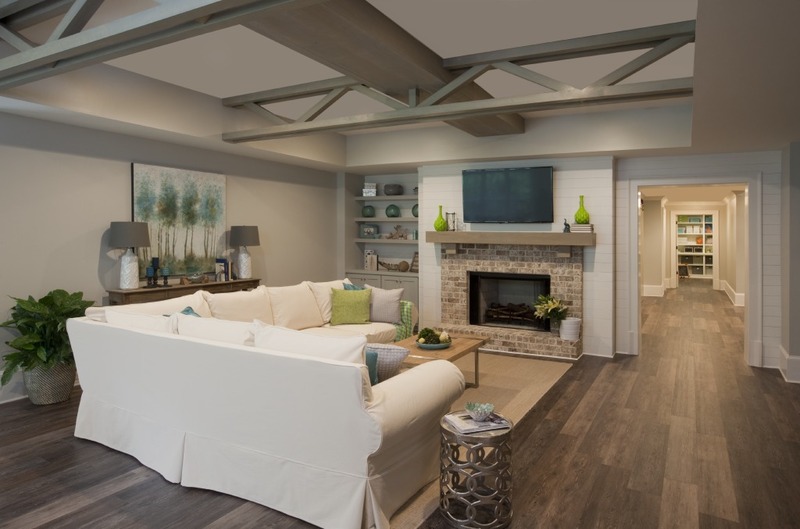 From the multi-use guest room to the kitchen and living room, we saw that versatile functionality and durable finishes are key in creating a finished basement that will grow with you throughout the years. 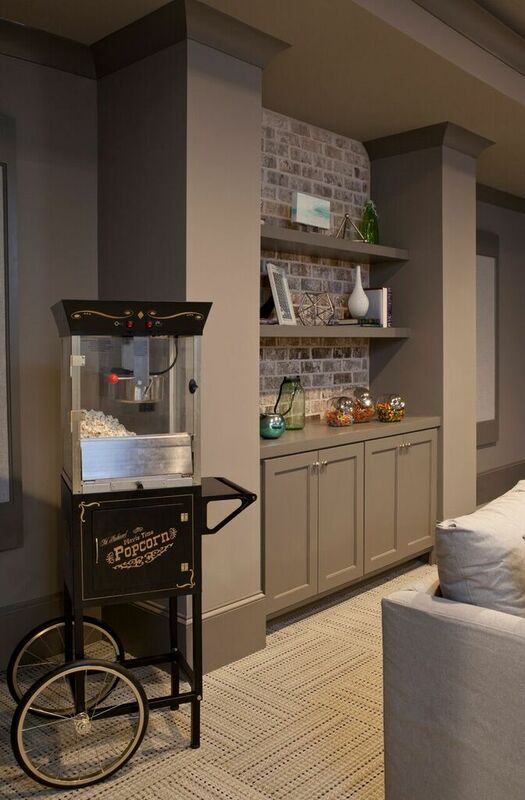 Now, we make our way to the incredible home theatre…complete with a popcorn machine of course! 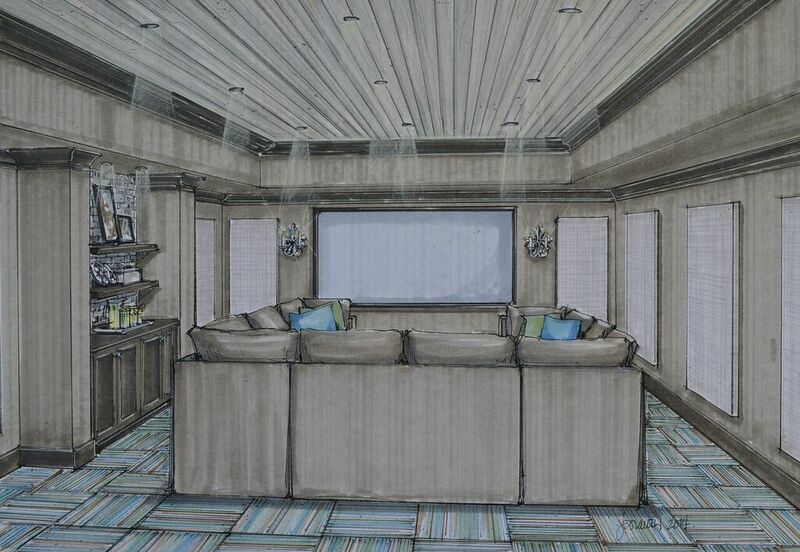 Opting to use a sectional with movable pieces creates a “convertible lounge” of sorts. 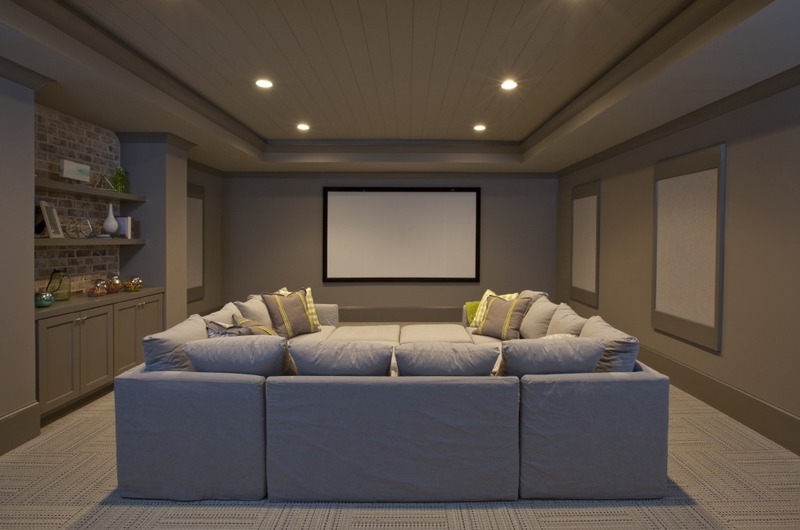 You can place ottomans inside the sectional for one oversized and luxurious viewing spot, or you can slide an ottoman or two out, pop a tray on top and now you have place for your movie snacks. Put your feet up and relax, this sectional is slip-covered with pre-treated fabric. For any of those spills, which will happen, fear not – a little laundering and they’re as good as new. 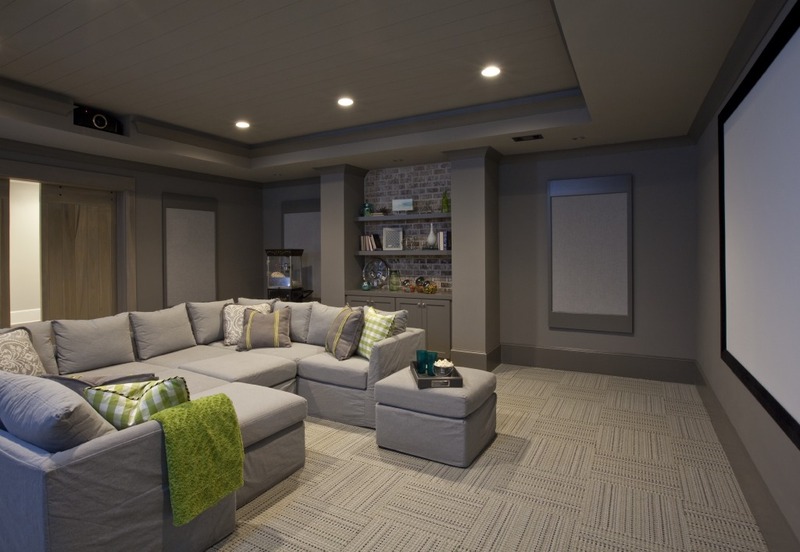 Custom acoustic panels and surround sound on the walls makes for a complete home theatre experience. Let the show begin! If you’re in a crafty mood, this room is sure to inspire. Builtins and cubbies keep everything organized, so no matter the project you’ll be ready with everything you need. Deep and shallow drawers are the perfect place to store large papers and even a collection of finished artwork before finding the perfect frame for those crafty masterpieces. This is the room where you don’t need to be shy with color! 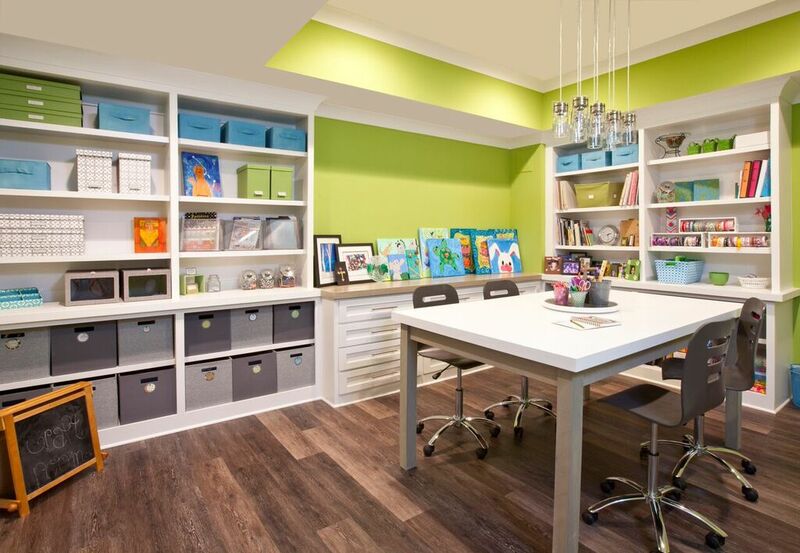 Be creative and make this a space for you and your family to create memories together, in addition to art. TIP: Placing your most used supplies on a Lazy Susan makes it convenient for all when working on a project with your family and friends. Using colorful canisters at varying heights makes it easy for all to see and reach. In a room where wondrous creativity is King, it’s only fitting for this to be where a hidden door hides. Push this bookcase back and another room magically appears. This is a prime spot for basement storage. The basement will be used as guest quarters during the holidays. Here you can conveniently store your basement Christmas decorations and other seasonal items throughout the year. From a family and friend entertaining space to temporary or long-term guest quarters, this finished basement has it all. We hope you’ve enjoyed this month’s tour. Let us know what you’d like us to discuss in next month’s blog! There are so many amazing things about this basement that we have to split it into two posts! From hidden doors to peek-a-boo beds, there are surprises around every corner. 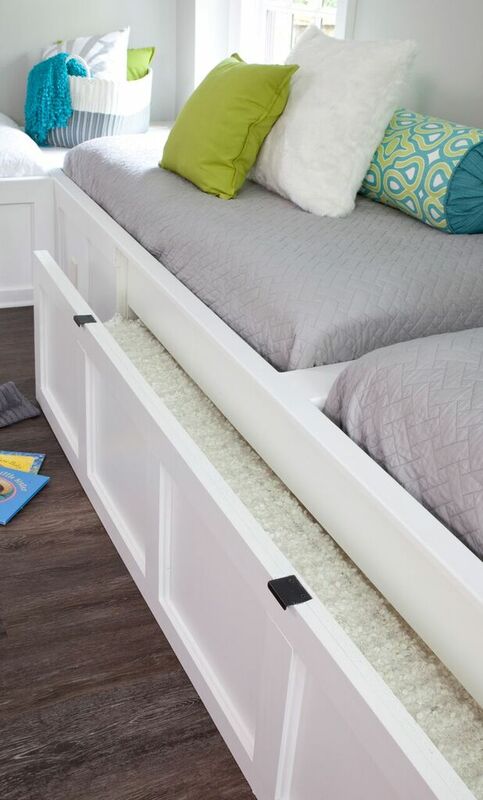 First, let’s take a look at the basement guest room, which makes for THE perfect tween or teen crash pad complete with hidden trundles. 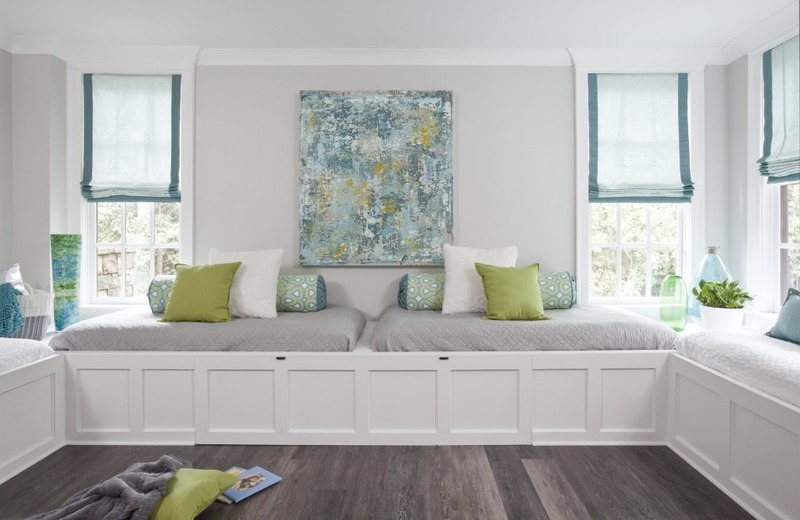 Original art brings both sophistication and sweetness to the space allowing for both children and adults alike to enjoy the touch of whimsy and absolute beauty of this room. 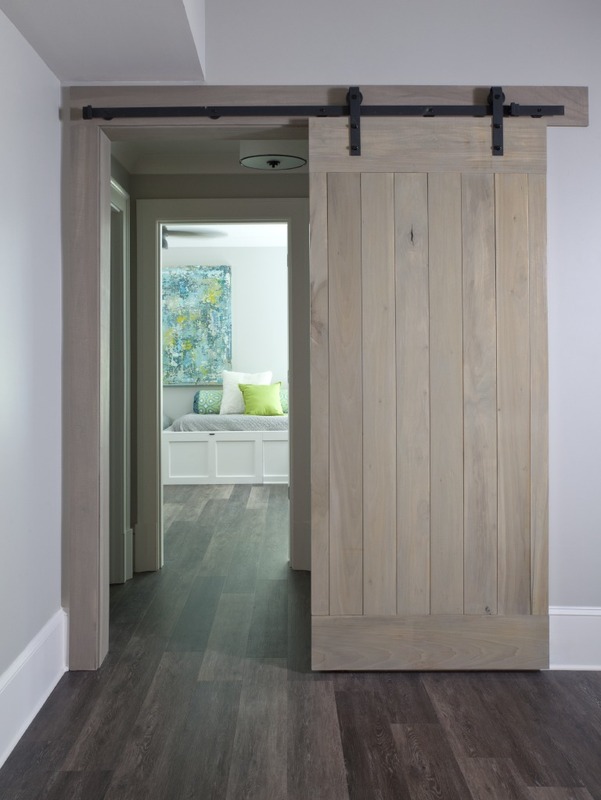 Notice in the picture below how the barn door is between the main bedroom door and the hallway space, which opens up to a full bathroom. When closed, the barn door converts the guest room into an ensuite complete with a full bath. When open, the full bath is accessible to the rest of this incredible basement. From guest room you enter a living space which opens to a full kitchen. It’s hard to believe this is a basement. 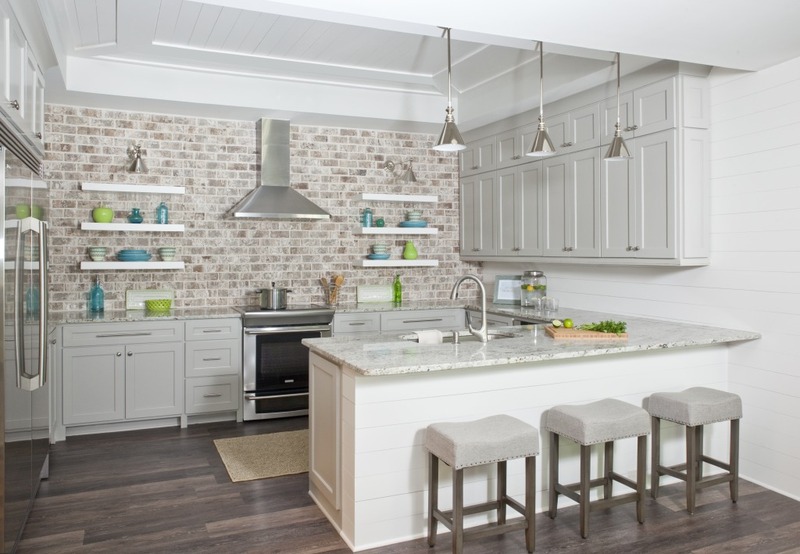 The same color palette is echoed throughout all rooms which brings a cohesive feel to every area. With a neutral base, colorful accessories in both the living room and kitchen make this a fun and eclectic “chill out” space. There’s more to see in next month’s post, “Beneath the Surface II.” Stay tuned!